The Korappuzha river and the Canoli Canal is an integral part of the landscape at my hometown, Eranhikkal, near Kozhikode. The pic is from the point where Canoli Canal merges with Korappuzha. 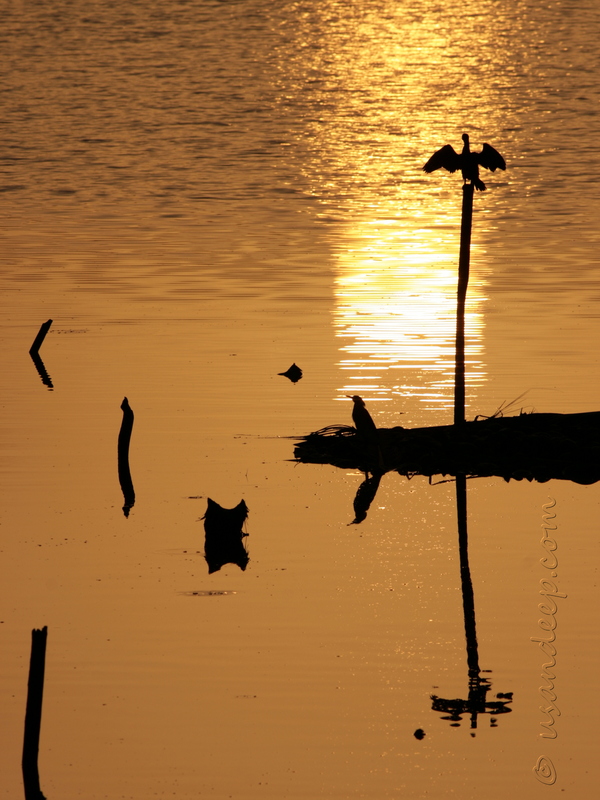 I guess the birds in this pic are Black Cormorant (the one on the pole) and a Pond Heron.